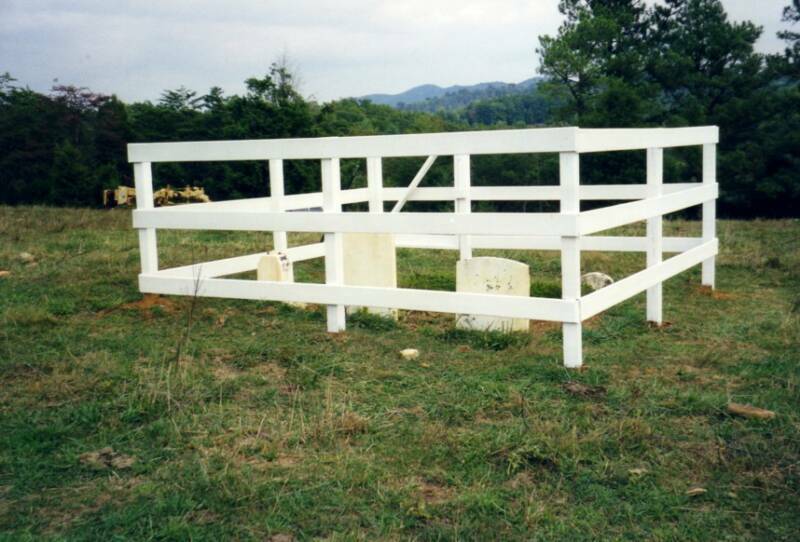 Here are "before" and "after" pictures of the restored William Ballenger Rucker burial plot in Amherst County, Virginia. 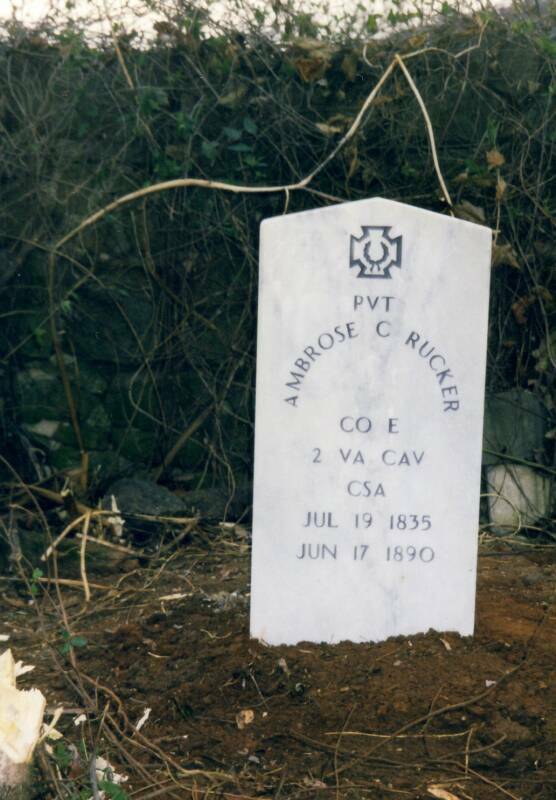 One of the goals of the Rucker Family Society is the restoration and maintenance of the graveyards where our ancestors lie. Finding and cleaning these old sites can take some initial detective work, and lots of elbow grease. The satisfaction at the end of the job is priceless. 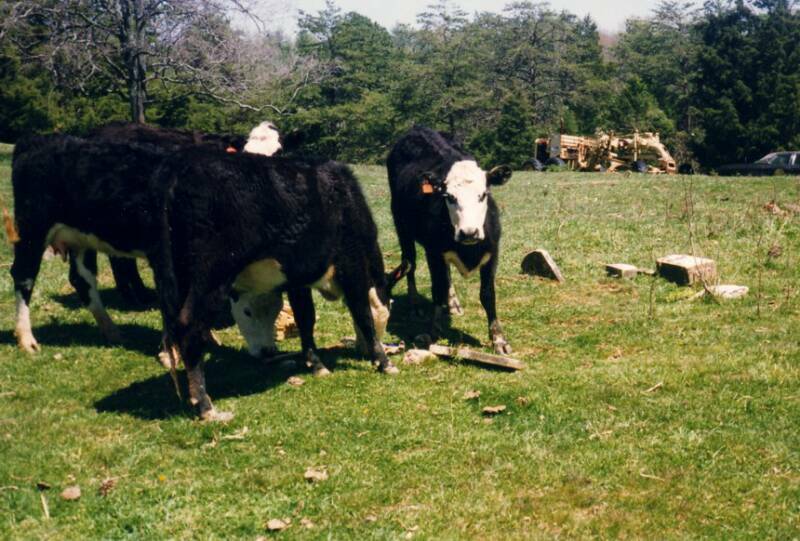 Sometimes, as above, stones need to be dug up and reset, and the cows kept out. Often, all that is needed is the clearing of brush. Stones can be damaged by overzealous attempts at cleaning and repair, so consult some experts before you begin. 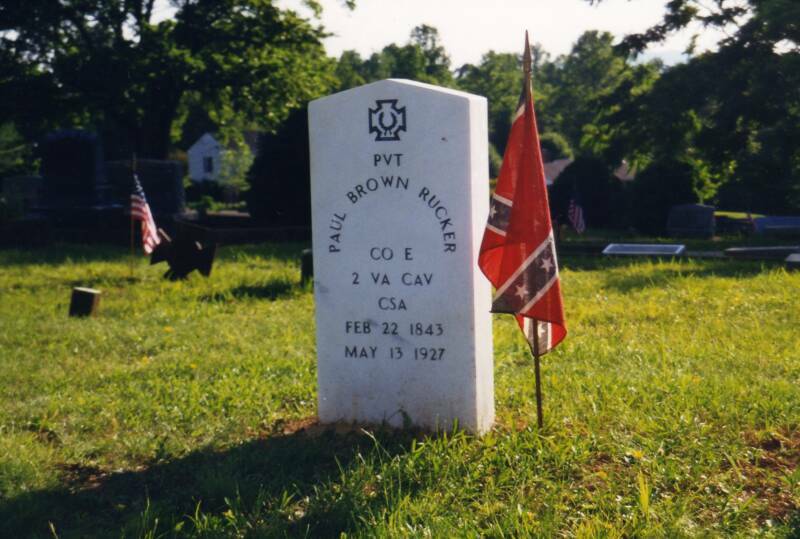 If your Rucker ancestor was a veteran and lies in an unmarked grave, you can apply to the U.S. government for a headstone to be erected in his memory. Ask your local funeral home for a copy of VA Form 40-1330, "Application For Standard Government Headstone Or Marker." The cemetery will likely charge you a small fee to erect the stone; if the grave is not in a maintained plot, you can place it yourself for no more than the cost of your time. If you do the work yourself, get some help; the headstones weigh 230 pounds. The cemetery charged $75 to erect the above stone. The one on the left was placed in a private plot by the author.